Emotional branding is what separates you from the masses. It's having a brand image and brand message that triggers your audience to engage in the first place and builds lasting relationships. Motivating them to work with you, and only you to the point where they almost can't imagine working with anyone else. What you charge becomes far less relevant. Do you want customers so excited that they feel like they have just discovered the greatest business in your field? Do you want to only work with the right customers that are eager to pay you what you're worth? Do you want to move people with your message and get easy referrals? Emotional branding can accomplish this and there are five specific branding strategies you need to know. First emotional branding tip: How does the world look from your customer's perspective? This is especially important to understand if the lifestyle of those you serve is different than your own. You want to know what triggers them emotionally. What do they really value? What experiences are they used to? What are their expectations? What's the look and feel of other businesses they frequent? The bottom line is, you want to know what matters to THEM. From their perspective, not yours. For example, one of my coaching clients is in the business of luxury travel. A wealthy woman herself, she happens to be her market so she understands the affluent market extremely well. She said to me once, 'You can give us 30% off, bonuses, etc and it will mean nothing. Give us free water and a lounge and you've got us hooked." She knows the perspective of those she serves because she is them. If you're not, educate yourself. Strategy: Put yourself in the shoes of your customers. Do your research. Live their life. Visit businesses your target audience is already doing business with which may or may not have anything to do with your own. Be curious, observe and study how this business connects with their customers. Does it feel high-end, low-end or something in-between. Check out the merchandising, the design, the service. Write down what emotions you experience. Is it about the experience or the price?Imagine what your customer must value most and why they go to this business. Remember for some it's all about the free water; for others, the free water means nothing. Second emotional branding tip: This is related to the first but also very different. Let me ask if you know this scenario. You know that feeling you get when someone in your life does something for you that you didn't even ask for and that action has overwhelming meaning? It is only because they know you so well that they would even know this would be meaningful for you. It's like they are speaking your secret love language. That someone in your life is one-step ahead of you. Perhaps they have taken something off of your to-do list because they know it will make your life easier. Ah..doesn't that feel great? This is called knowing someone's deeper need. Something that is meaningful we don't even know to ask for. Our customers have deeper needs, too. These are the things that surprise and delight them, even shock them, because it's so rare they experience this level of care and being understood in business. It most definitely creates an emotional connection. Strategy: As you get to know your customers and the world from their perspectives, look for what their deeper needs might be- those items and/or services that they wouldn't even think to ask for. You may have to try a few things out and see what shocks and delights them. In my photography business, we used to provide a color coordinated pen with my clients holiday cards that matched the ink of the return address on the envelope. A simple $2 pen, but it meant the world to them that we cared that the envelopes of their cards looked nice and they wouldn't have to run around town looking for the perfect pen. Because we knew they would so that they appeared that put-together to their family and friends. That's emotionally important to them. The more you understand what makes your customers emotionally tick, the more obvious their deeper need will be. Just like it is for us personally, it will likely be the smallest of details that means so much. Third emotional branding tip: Help your customers come to the realization on their own that you are the right service and person for them. Your branding, tag lines, and marketing language should compel, not tell. It should draw people in; magnetize them. Your branding should create an emotional connection, even from afar. You point out what's different about your business, and those that want what makes you unique are drawn to you like the preverbal moth to a flame. Instead of being sold to, they emotionally connect to something you said and want to know more. It allows customers the feeling they've discovered you. This feeling of discovery is very powerful. You were strategic in creating the emotional connection but it results in their having a sense of power and being in-the-know by discovering you. And when you've discovered something, aren't you excited to tell all your friends? So offer prospective customers the opportunity to feel the emotions of discovery. Strategy: Write down 7-10 self-identifying questions. These self-identifying questions are if you can imagine being your customer reading these questions, you would say, "that's me. I feel that way. That business gets me." You are asking questions so that your potential customers see themselves. This works so beautifully because you're not telling people what you do. You are letting them see themselves. Choose the most powerful few of these self-identifying questions and use them on your website or in your other marketing tools. I use self-identifying questions in offering my coaching services all the time. "Do you feel like you're working hard but not really getting ahead?" Or, "Are there so many directions you could go in, but you're not sure where to begin?" Or, one of my favorites, "Do you know you're great at what you do but have grown to hate the business side of what you do?" These are all problems my coaching solves. When I put those questions out there and they resonate with someone, they know that I understand them. And I do. I know every one of those feelings and want to help people get past them. Fourth emotional branding tip: It's a bit trickier than the others because the tips up until now have been all about identifying with your customers and knowing their perspective. So now, you really know your audience. You may even BE your audience. Like I am. I spent 32 years being a creative warrior. A lone soldier in business forging my own path to offer the world my talent as a photographer. So I am YOU in many ways. You may be your audience as well. Or you at least have done the work to totally get them and their perspective. But there's an important distinction that needs to be made. While you are your audience, you are also a leader or expert to your audience. The reason this is important is because while you are they, they are also looking to you as the leader and expert. They are looking to count on and rely on you. You have a different responsibility. You want to be in the trenches with them so they know your service or message can satisfy their need or solve their problem. While at the same time, you must make them feel comforted and secure by your leadership and expertise. This is what commands your price. You are they AND you are leading them. That's good leadership. Good leadership creates successful businesses. Strategy: Your work is to meet them where they are initially, and then serve them in the way you know is best. Make it an approachable entry into your business. They likely don't know what's best for them yet. They are counting on you and your expertise to lead them. You even have to be careful not to use leadership or trade jargon in your messaging and marketing. You know how disconnected it feels when someone is talking to you about something you know nothing about and don't care to? I'm like that with cars and technology. I could care less about how it works. I want to get into it and drive. If you talk to me about how it works, you've lost me. You have to be careful not to use leadership and expert language in marketing. For example, to promote my coaching services, I tend to use words like "digging deep"and "major transformation". I finally realized that I was scaring the hell out of people. As a leader of creative warriors and a creative business strategy expert, walking into the fires of digging deep and major transformation are not scary to me. But prospective clients are a bit more cautious at first. So meet your customers where they are first. Then with confidence and authority, provide your advice, expertise, and full value. Take a look at the words you use on your website, in your marketing and especially when speaking to prospective customers or your audience. Are you using relatable language? Are they the words that will create and deepen a connection? Be sure to point out the benefits and results of working with you; not your process. 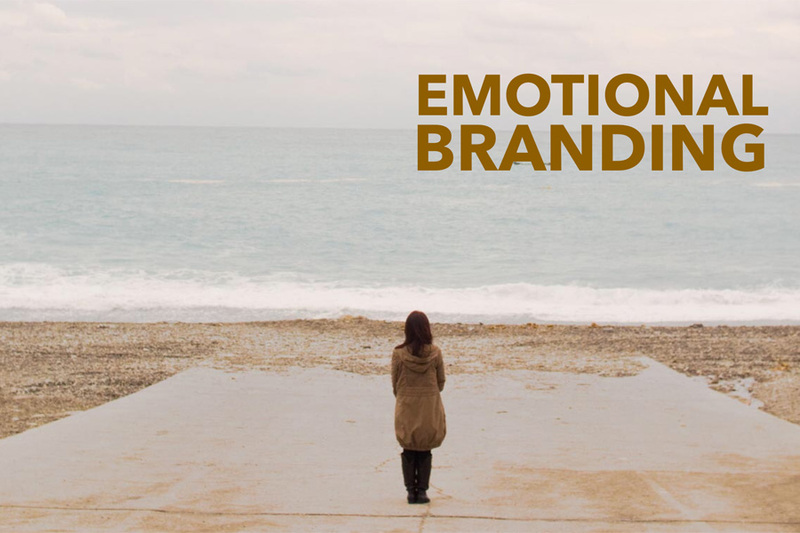 Emotional branding creates the connection and builds trust in your expertise upfront. So that you can guide them where they need to go. The fifth emotional branding tip: Understand how you and your brand are perceived by those you want to serve. There's a lot of personal responsibility in this. And choice. If you want to be successful, and of course you do, it's imperative that you understand how you and your brand are perceived by your audience. And if it's not working for you, change it. (If you choose to, that is.) You know how some people say, "That's just who I am." Well, that's all well and good but if who you are doesn't align emotionally with who you want to serve, you have a few choices. Either change, move on to find a different audience, or don't get the work. Ultimately, it's your responsibility to make sure your personal style and your business brand fit into a lane that is true to who you are and wide enough for you to be successful at the same time. So the strategy is to know who you are. Know your lane. Emotional branding is very much about alignment. The right brand for the right people. As much effort as you put into understanding your customers, understand how you and your brand are perceived by them as well. Proper alignment is the easy way to success. I taught my kids growing up that you can't plant a weed and yell at it to become a flower. You can't choose a lane and brand that's not aligned with those you want to serve and complain it's not working out. Emotional branding. It's a big concept with many nuances, but in the end, using it well allows you to make the necessary triggers and connections with your customers. And that leads to success.